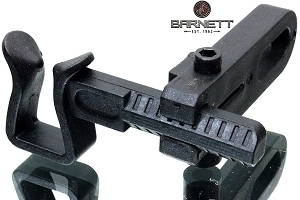 Barnett Shoot-Through Basix Arrow Rest, SIMPLE & EFFECTIVE. JUST BOLT-ON AND SHOOT! 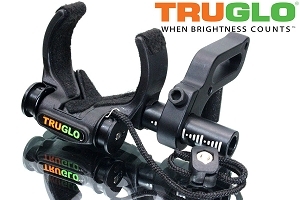 TruGlo Carbon XS Fall Away Arrow Rest, ULTRA QUIET DESIGN & PRICED RIGHT! 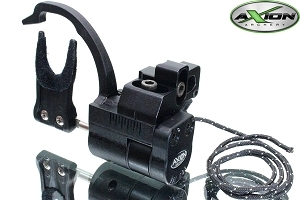 Axion Pulse Drop Away Arrow Rest, Fully Automatic, 3-5X FASTER THAN OTHER FALL-AWAYS! 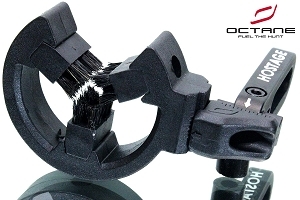 Octane Hostage Containment Arrow Rest, THE ONE THAT STARTED IT ALL! 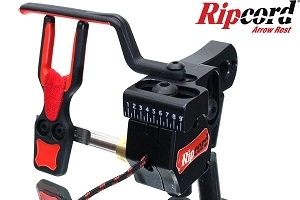 Ripcord Code Red Smart-Drive Drop Away Arrow Rest, RED & BLACK LOOKS SHARP! 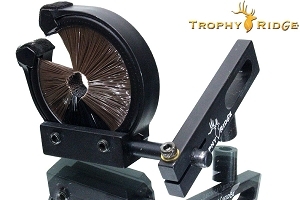 Trophy Ridge Original Quickshot Whisker Biscuit, HUNTING GOLD STANDARD PART! 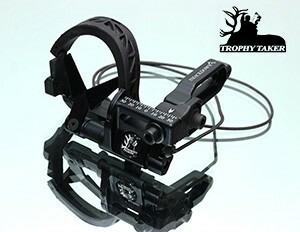 Trophy Ridge Sure Shot Pro Whisker Biscuit, Medium, MICRO ADJUST TOP MODEL! WHAT IS AN ARROW REST? It's a device that holds the front of your arrow in place until you shoot. On a modern compound, you don't shoot the arrow off the arrow shelf (as you would with a traditional bow). Modern compound bows have centershot cutaway risers, meaning that the physical center of the bow (the bow's "centershot") is an open area. The riser (handle) of the bow has been "cut away" or formed in such a way that it's offset to the side - leaving the physical center of the bow clear for the arrow to fly through untouched. Perfect! But there is a catch. The tip of the arrow still has to be held up in position before it can be fired. The tip of the arrow can't just flop and dangle around untethered in that open space. It needs something to hold it up in place. The arrow needs a solid place "to rest". Ahhh! You see where this is going? 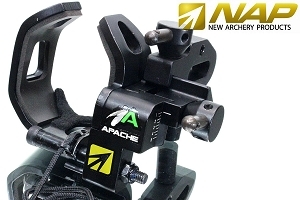 This function is accomplished by a simple device we commonly call an arrow rest. All modern center-shot cutaway compound bows require some sort of arrow rest device. Without an arrow rest, a modern center-shot cutaway bow is not usable. So you'll need one of these wonderful gizmos. Arrow rests can be anything from simple prongs to elaborate fall-away mechanisms, but they all accomplish the same basic task (retaining and orienting the tip end of the arrow until you fire). 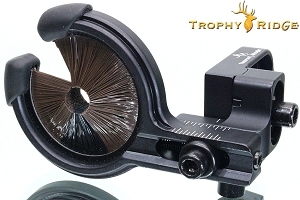 The choice of arrow rest varies by personal preference and purpose, but the most popular model (by far) is the Whisker Biscuit by Trophy Ridge.